A few months ago I finished writing my memoir-ish book. I stayed up late for weeks determined to complete it. I then asked six of my peers to critique the manuscript. They each had a different approach to the feedback process but they all provided valuable insight to help improve the book. Once I received their feedback, I planned on jumping right in and incorporating the changes, but I got stuck. I felt overwhelmed by the task at hand—there was much more work to do. Has this every happened to you? You’re plugging away on a creative project and then you get stuck numerous times for various reasons. 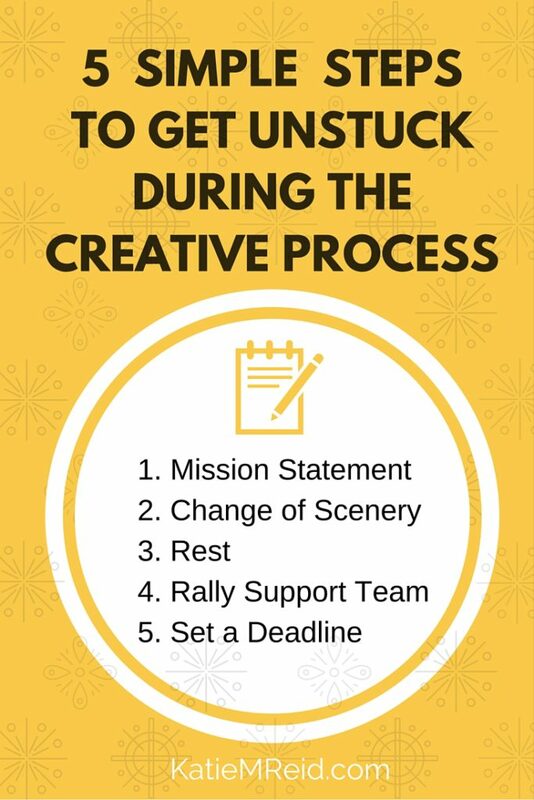 Maybe you feel stuck at the beginning of the process, unsure of which steps to take first. Maybe you get stuck in the middle wondering how long the project will take and if there will ever be an end to your labor. Maybe you find yourself stuck at the end as fears and doubts creep in and the finishing touches feel tedious. We want to be finishers, so we need to learn what to do when we get stuck. Mission Statement: Write down your “why”. Why did you start this project? Write down your mission statement or focus verse and place it in a prominent place so you don’t forget it. Revisit the mission statement to help you stay motivated throughout the project. Change of Scenery: Go for a walk, go out to lunch with a friend, or make some art. If you find yourself stuck it could be that you need a different perspective to help you get refocused. If you feel like you are losing momentum, take a break and go do something else for a little while. Rest: Be sure you are getting enough sleep. Often when we are working hard on a project we neglect the sleep we need, which can negatively impact our creativity. A well-rested mind is a great tool for making headway on a creative project. Update Support Team: Rally your support team and tell them that you are discouraged. Ask for prayer, a pep talk, and accountability to stay on task. Don’t try to do this alone. You need the support of others to see your project through. One of two other people in your corner can make all the difference. Set a Deadline: Set a deadline and verbalize your deadline to others. Say “no” to additional commitments so that you can honor your due date. You might need to simplify your schedule and ask for extra help so you can complete your project in a timely manner. P.S. Watch the “What do you do when you’re stuck?” video. Thank you! This is so helpful to me. 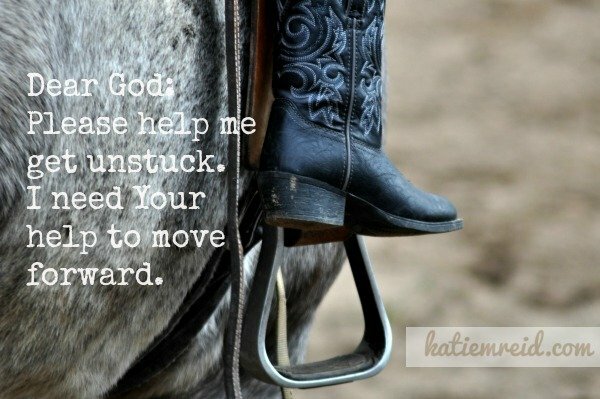 I am really feeling stuck and this just lit a fire under me. Blessings to you Katie. Oh, I’m so glad Margaret. Press on! I’m notorious for getting stuck, Katie. I’m a strong starter, but those whispered lies have been known to derail me mid-way. Love your steps here and heading over to GSD to finish out the post. Hugs!